Times Observer photo by Josh Cotton This property – 17 Conewango Avenue – will be sold by the City of Warren Redevelopment Authority as a result of a conservatorship plan approved by Judge Gregory Hammond on Monday. The City of Warren Redevelopment Authority has been granted permission to sell a burned-out Conewango Ave. property. 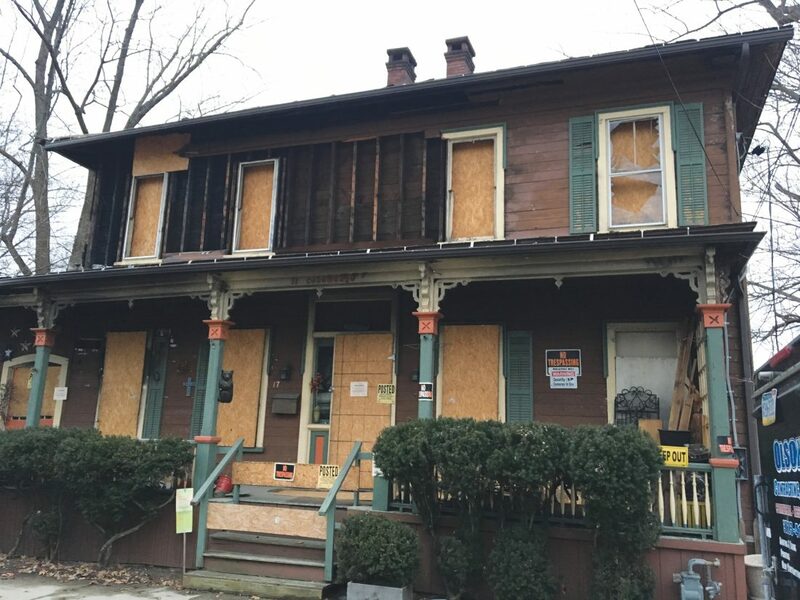 The property in question is located at 17 Conewango Ave.
A fire occurred at the property in August 2016 which resulted in an initial notice of violation as the residence was unfit for occupancy. While orders to demolish went unheeded, the owner, Thomas S. Shorebird, did board up the structure. The Court of Common Pleas granted conservatorship to the RDA back in May, meaning that the RDA doesn’t own the property but can make determinations to address the blight conditions caused by the fire. On Monday, city officials were before Judge Gregory Hammond with a final plan proposal for the property. City Solicitor Andrea Stapleford asked the city’s building code official, Terry Williams, if the final plan is a request from the RDA to sell the property for not less than $7,000. Williams indicated that it was, and added that she is not aware of any mortgages or liens against the property. She testified that the RDA had contacted four interested parties but none came through. “Conditions have not changed or improved,” she added, explaining that the condition on a potential sale is that the potential successful bidder either demolish the structure within three months or rehabilitate it within 12 months. Hammond then said that he would approve that final plan.